Everyone knows the dangers of smoking. Over the years, warnings have become stronger and more graphic, with pictures of damaged internal organs and shocking statistics readily available in the press and online. 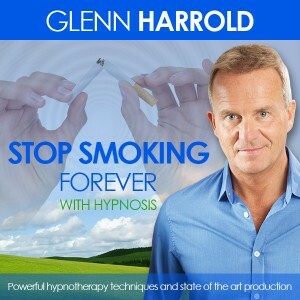 Once you start smoking, it can seem impossible to quit, but I believe that everyone has the power to give up the habit using hypnosis and the power of their own mind. The vast majority of people’s first experience of smoking is an ordeal, often as a result of peer pressure. Coughing and choking and spluttering, most people probably thought, ‘This tastes horrible! What’s all the fuss about?’ But because they wanted to be seen to be ‘cool’ they train themselves, through gritted teeth, to like it. The habit sticks and suddenly they find they can’t do without cigarettes. Bizarre isn’t it? I know because I was a smoker until I quit many years ago. Follow my tips to recreate that initial feeling of disgust and kick the habit for good. Many smokers convince themselves to believe that cigarettes make them feel better and help them to relax. In truth, nicotine is a toxic nerve poison that constricts arteries and increases adrenaline production to raise blood pressure in order to overcome this constriction, thus stimulating the entire nervous system. People only relax with a cigarette because they have conditioned themselves to believe they will. You must rid yourself completely of that belief. For example, if I told you every time you gave your right ear lobe a gentle tug you would feel relaxed, after a while this would become a reality. Your unconscious mind unquestioningly believes what you tell it – especially when you compound a belief through repetition. 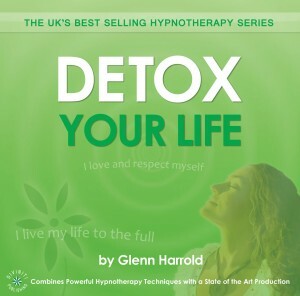 You will learn alternative ways to relax and feel composed without needing to rely on nicotine. Think about all the social benefits of quitting cigarettes as well as the physical ones. You will look younger and healthier, and your productivity will increase at work and at home, without the interruption of a cigarette break. Imagine being able to go out with friends in winter without having to stand outside in the cold! After just 48 hours, your ability to smell and taste will begin to return, and after two weeks, you’ll be able to exercise without feeling sick. The effects of quitting start immediately. Less than 20 minutes after your last cigarette, your heart rate will begin to drop back towards normal levels, and after just two hours your blood pressure will follow. The following hypnosis technique should help you in your own quest to improve your general health and well-being by giving up smoking. 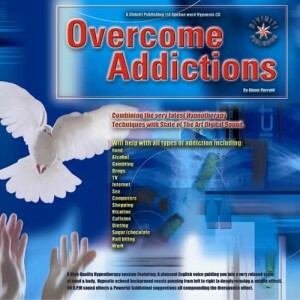 The stresses of addressing such a highly addictive and destructive habit can be halved with the use of hypnosis and many clients have successfully quit with my help or by using my CDs, apps and downloads. Begin to breathe slowly and deeply in through your nose and out through your mouth with a steady rhythm. If you can, close your eyes to focus on your breathing. Visualise drawing pure fresh air into your lungs and clearing away any stale air with every out- breath. Enjoy the feeling of the clean air filling your lungs and continue breathing away any traces of stale air. Continue this slow, rhythmical breathing and at the top of each breath, hold it for three seconds. Exhale very slowly and count to five as you do so. Continuing with this pattern will make you feel physically relaxed and mentally calm. In this state, allow your mind to go blank and slip deeper into relaxation. With your mind still and quiet, imagine you are now a non-smoker. See yourself in situations where previously you would have smoked but are now completely smoke free. Feel each statement as a reality as you affirm them. When you are ready to finish, allow your mind to clear for a minute, then count slowly upwards from one to ten. Open your eyes when you reach the number eight and at the number ten you will come back to full waking consciousness. 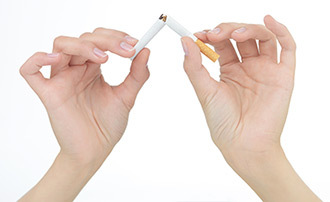 Repeat this hypnosis technique daily until you are completely free of any desire to smoke. Any time you get an old smoking trigger use the diaphragmatic breathing exercise instead. One thing to be aware of when you quit is that your body is making a big adjustment so you need to give it as much help as possible in the early stages. I recommend you cut down on coffee, tea and alcohol as this will minimize your smoking triggers. It is also advisable to drink lots of water to help flush traces of nicotine and other toxins out of your system. Download these amazing new recordings Now!